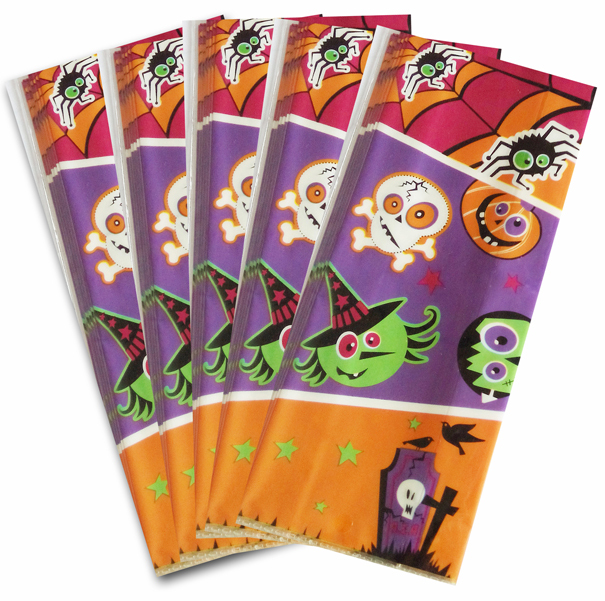 Pack of 10 Treat Bags with a colourful Halloween Witches design on the front and back, a clear gusseted side panel and 10 co-ordinating twist ties. 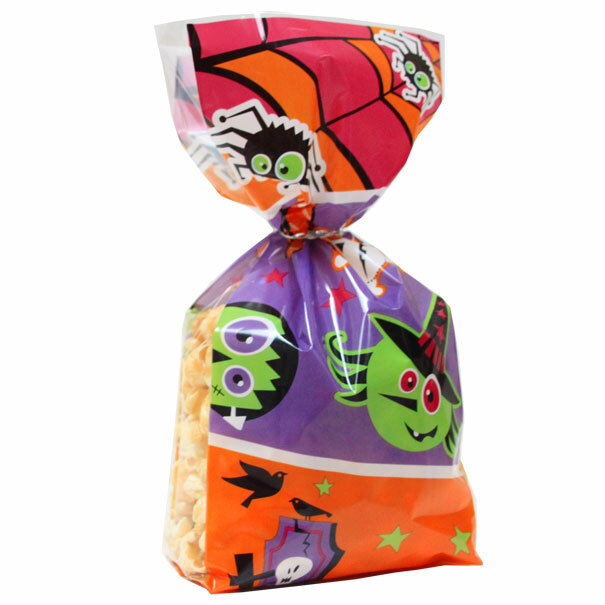 Each bag is made from food safe cellophane and measures 100mm across and 240mm high when flat. Ideal for sweets, chocolate, biscuits and even toiletries.